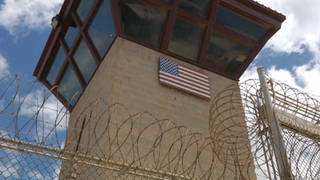 The Gitmo Experiment: How Methods Developed by the U.S. Military For Withstanding Torture are Being Used Against Detainees at Guantanamo Bay | Democracy Now! A major article in this week’s issue of The New Yorker magazine reveals how methods developed by the US military for withstanding torture are being used against detainees at Guantanamo Bay. According to the article, titled “The Gitmo Experiment,” a number of medical and scientific personnel working at Guantanmo Bay are not at the prison camp to provide care for detainees but rather to use their skills to assist in interrogations. The people working in this capacity are members of what are called Behavioral Science Consultation Teams or BSCT’s–in military jargon they are known simply as Biscuits. SERE was created by the Air Force, at the end of the Korean War, to teach pilots and other personnel considered at high risk of being captured by enemy forces how to withstand and resist extreme forms of abuse. AMY GOODMAN: We are joined now in Washington by Jane Mayer, journalist with The New Yorker magazine, who wrote this piece, “The Gitmo Experiment” in the current issue of The New Yorker. Welcome to Democracy Now!, Jane. JANE MAYER: Thanks so much. Glad to be here. AMY GOODMAN: It’s great to have you with us. Well, why don’t you just move right in to talk about the main thesis about how methods developed by the U.S. military for withstanding torture are being used against detainees at Guantanamo? JANE MAYER: Well, what sources told me was that the program is basically reverse engineered by some of the behavioral scientists that’s had worked in it. And what they did was instead of trying to help soldiers to resist torture and torment should they ever been taken captive, the same experts in behavioral science started advising our interrogators who were holding terror suspects captive, and some of the same techniques that we feared would ever be used on our people started being used by us on people in our own custody. To me it was just fascinating in that for a long time I had been wondering why is it the same really strange sort of allegations of abuse are coming up in places as disparate as Guantanamo and Abu Ghraib and Afghanistan and in places where undisclosed locations where the C.I.A. is holding people, and every investigation by the government of itself has found that, you know, there is no system here, they’ve said that there’s — abuse is just sort of an aberration, but I think what I found in this piece is there is actually a curriculum. AMY GOODMAN: Talk about the curriculum. JANE MAYER: It’s bizarre to many of us who are not part of the military, I think. It’s a curriculum that is designed to create maximum stress and anxiety. They talk about acute anxiety. The idea is that if we can put our own people through something almost as bad as what they might have to go through if they were taken captive, they will inoculate themselves. It would be like practicing going off a high dive. So under very, very carefully monitored circumstances, soldiers in danger of being taken captive are put through this classified program in which they — they’re hooded, they’re bound, they’re deprived of sleep, they’re exposed to extremes of temperature, they’re held in tiny little cells, they are starved to some extent. They are sometimes water-boarded which is a form of torture in which you’re bound to a board and they pour water on your face so that you can’t breathe; you have the sense that you’re going to die of asphyxiation. And to me, it was interesting, some of the people I had interviewed who knew the insides to this program said that they also, to create anxiety and upset in the soldiers, they take Bibles and they trash them. They throw them on the ground, they rip them in the air. Many of the soldiers are quite religious, and it is very upsetting to see this happen to them. And, you know, for the people that I talked to who knew the program well, when we began reading about Korans being trashed, a number of people said, 'Oh, my god,' you know, they just wondered — they thought, 'God, there is a, you know, connection between these things.' And, in fact, there is a connection, the people who designed this here program and who implement it are the same people who are overseeing and helping in the interrogations of detainees in places like Guantanamo. AMY GOODMAN: We’re talking to Jane Mayer of The New Yorker magazine. Her latest piece is “The Gitmo Experiment.” You went to Guantanamo? JANE MAYER: I did go to Guantanamo, yeah, for the magazine. AMY GOODMAN: Can you describe what that tour was like? JANE MAYER: Yeah, it was fascinating. I mean, you know, in a way it seems like so much effort for 520 suspects, you know, on an island or an end of an island just surrounded by soldiers and barbed wire and concertina wire, razor wire, and every, you know, every kind of possible form of keeping them behind bars. And, you know, even if they’re very dangerous, it seems like a very cumbersome solution. The military is trying very hard right now to put a better face on Guantanamo, and I think they actually have tried to rid some of the extreme versions of abuse that we have read about. But they would not allow reporters to interview the detainees, so it was very hard. AMY GOODMAN: You write you heard a scream? JANE MAYER: I heard one scream. We went to the end of a cell block that was empty. They have kind of a model cell block and at the end of it there was a guy some distance away in an exercise yard who spotted me as a reporter and started screaming, you know, “They lie! They lie!” and saying that he was being abused and there was no medicine, and everybody was sick, and no sleep, and all this kind of thing. I mean, the people who run Guantanamo, the military, pretty much dismiss complaints by the detainees because they say that they’re all created as part of a political process to sort of fake complaints and get public support. And, of course, the lawyers for the detainees see it exactly the opposite way. AMY GOODMAN: We just have 10 seconds, but we were speaking first with Michael Isikoff today of Newsweek, who broke the story about Koran abuse and then the whole controversy around that, but you also write about that. JANE MAYER: Well, yes, I mean, I think that, you know, my sources suggest that there’s a lot of support for the notion that there is a lot of Koran abuse and that it was very much a systematic design, not just an aberration.